A site that harkens back to the stone age won’t win you any favours from site visitors. From a visitor’s perspective, if your website appears out of date, your products or services must be outdated as well. 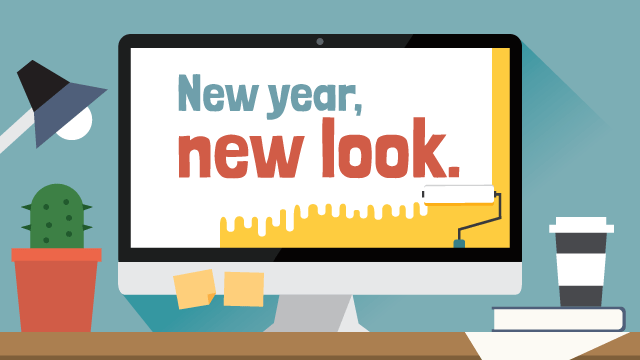 Freshen up your site: you’ll look rad and your visitors will trust you more! Search engines such as Google Search are not too keen on stagnant websites. Update your site to keep your SEO strong. Adding a blog to your site (as well as contributing to it consistently) is a great way to keep your website dynamic. You know what they say: (social) sharing is caring! Adding social media sharing buttons to your site will allow others to brag about you, which increases your credibility immeasurably. Plus, updating your site with valuable, new content (see point #2) or an interesting new design gives visitors something they’ll want to sing about. Let others toot your horn- you deserve it! User eXperience is an important part of your web design. Have you looked over your current website to see how users will interact with it? Make your call to actions clear, convey information concisely, and ensure that visitors won’t get stuck in a dead end. A responsive or mobile version of your site is now a necessity, as mobile usage is now exceeding desktop usage. Make sure your site redesign includes a mobile version- it’s the “smart” thing to do! One way you can easily redesign your site is with the new Website.com builder (included for free with all Doteasy hosting accounts!). Just drag and drop to create your new website, no sweat. Yes, you can make a mobile version. Yes, it has cutting edge design elements you can add right into your site. Yes, your new design will look amazing! Try it out and let us know how it goes! To get started, login to your Member Zone. Here’s to a bright and shiny 2016!